^^^ I know , super late response , but Born Without A Face is great !! For me over the last few days ..
Days N Daze - Crustfall lp. I’ve been listening to a lot of folk - punk / thrashgrass lately . 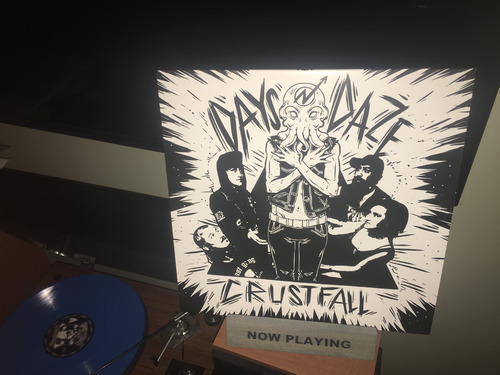 I recently found Days N Daze . I was glad to finally find some of their music on vinyl!! I enjoy this lp , but not quite as much as their older albums ( The Oogle Deathmachine, Rogue Taxidermy ) . There’s not a huge difference in the music , but I’m used to hearing their music sound like it was recorded in someone’s living room and it really adds to the music . This album is much more professionally produced and sounds pretty clean compared to the previous albums . Still this is a pretty good listen . I like how these guys have a bluegrass / folky sound , flows from heavy and punk rock to almost sweet and pretty at times . That type of movement in one album usually wouldn’t work for me , but somehow does on this and their other albums . The horn ( trumpet ) is a nice touch too . I like this one enough to recommend it , but I say give the other two full lengths a listen too . Their rawness add a little something that is missing here ..
Woah that Crust Fall is really good! I would like to have that one. It’s limited to 1000 , so you may want to get one soon !! Ships from Canada . You can get it HERE . The split 7” is from the same label . 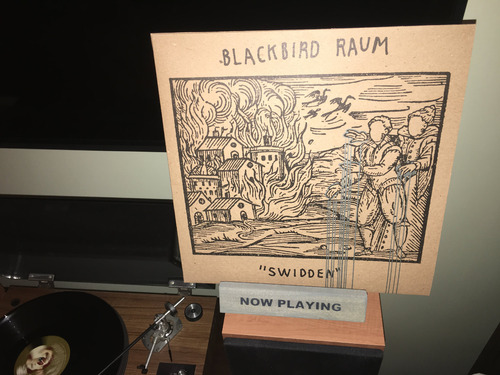 I got another Folk punk album today ..
Blackbird Raum - Swidden 2lp . I’m glad to finally have this album . 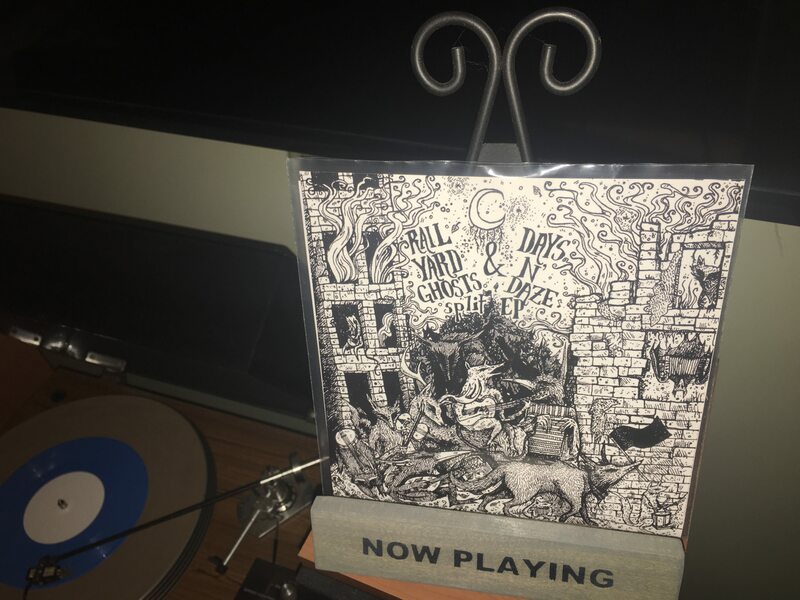 These guys are folk punk to the core , with a medieval undertone . I have never gotten into that medieval sound until this band , and the way they combine it with the folk punk and an anarcho attitude really blends well . It’s a solid listen , but there are some slow , very mellow points that I could see some people not really enjoying , but for me , I dig them !! 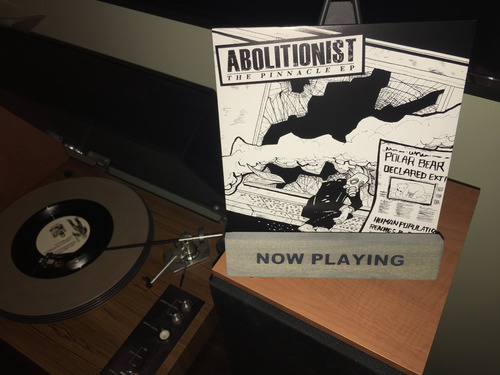 This was thrown in for free , because I ordered the BR album on the day that Dustin at 1859 Records left for vacation and I had to wait a few days for it to ship ..
Abolitionist - The Pinnacle 7” ep . Punk rock , but with a pop punk feel . Still with a pissed off and political edge . Sorry couldn’t find a video of a track from this 7” . Edited 1 time(s). Last edit at 03/02/2018 05:03PM by rchecka.